And the next step is the easiest one of all! 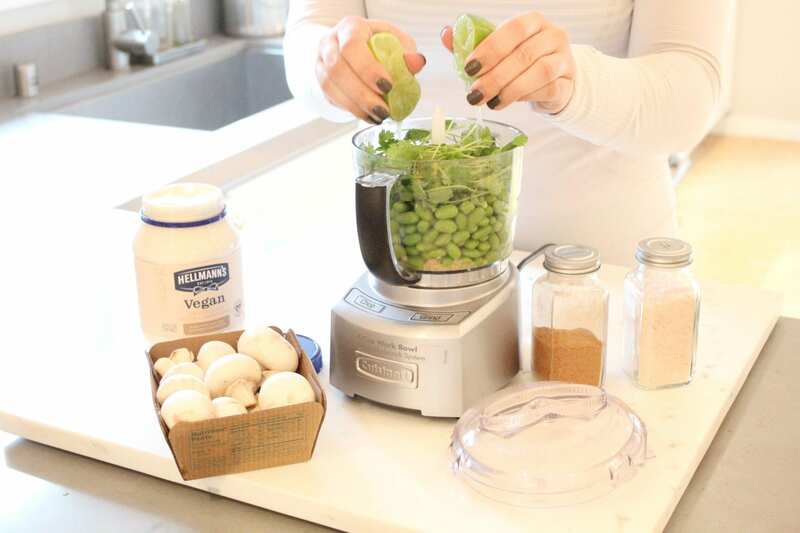 Start adding your ingredients to the food processor–garlic, edamame, cilantro, Hellman’s vegan spread, salt, spices, and lime juice! 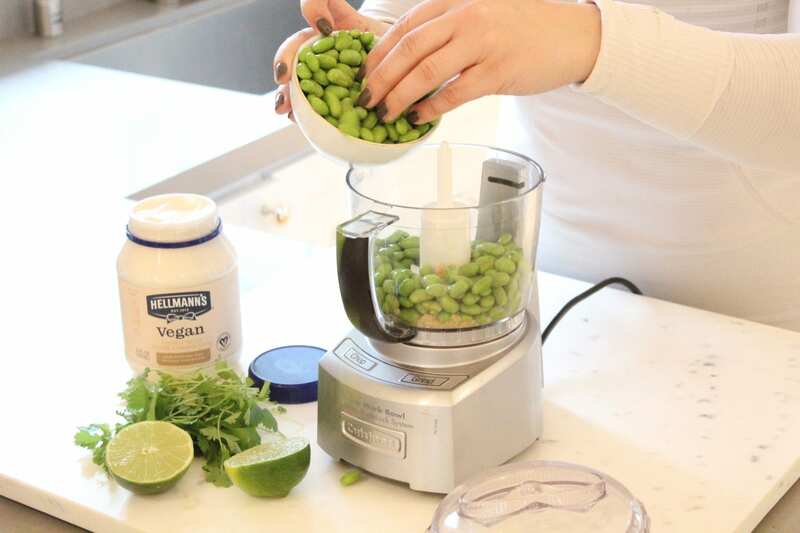 When I was making this dip this weekend, I was really impressed with what a great substitute this Hellman’s vegan spread is for traditional mayo. Even some of the guys over for the game were surprised that it wasn’t regular ol’ mayo. Love that Hellman’s has this vegan option now! 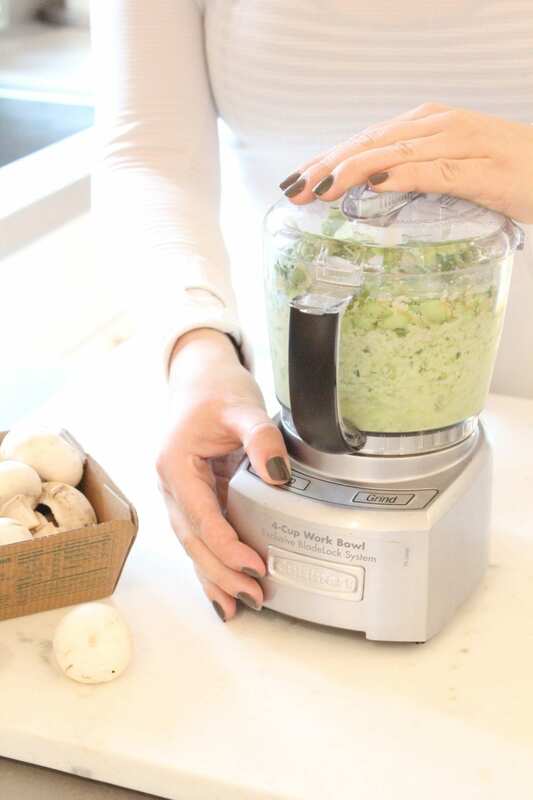 Blend all ingredients together in the food processor until smooth. I would stop from time to time to scrape down the sides of the bowl to make sure it was all incorporated. 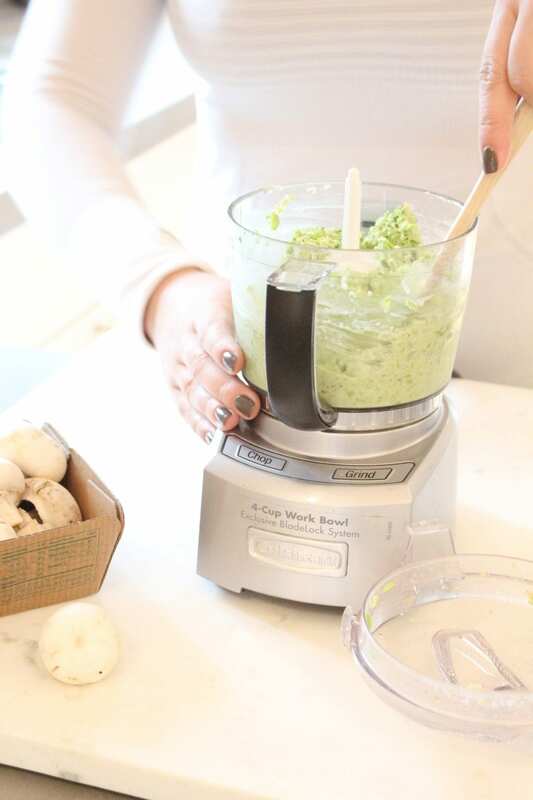 Depending on the power of your food processor, this may take a few minutes to get the consistency you like. And there you have it! 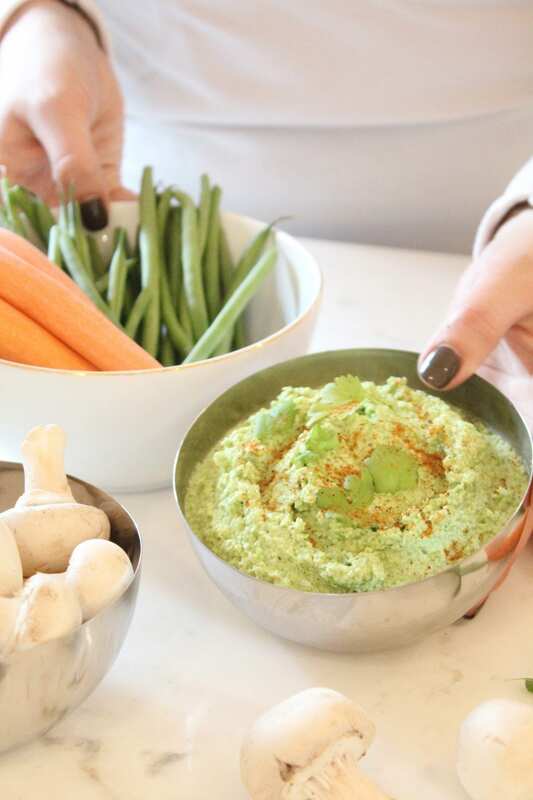 A unique twist on traditional hummus that everyone will love. 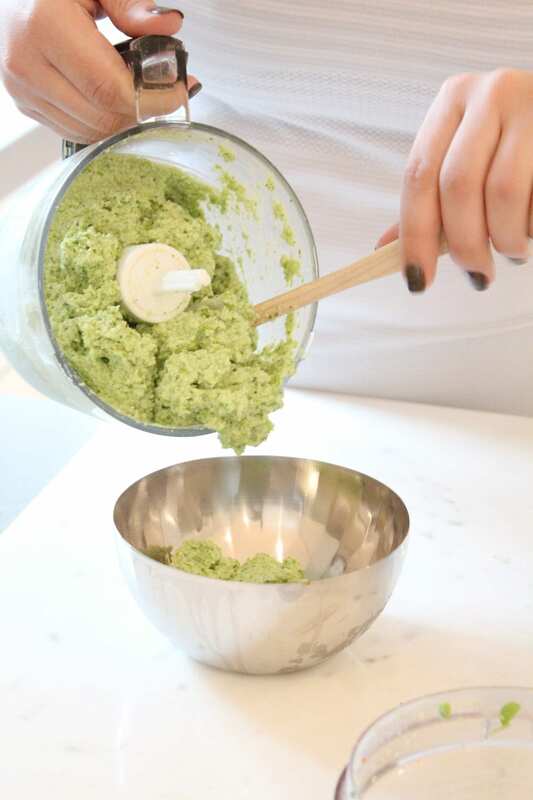 What are some of your favorite recipes to make for friends and family? 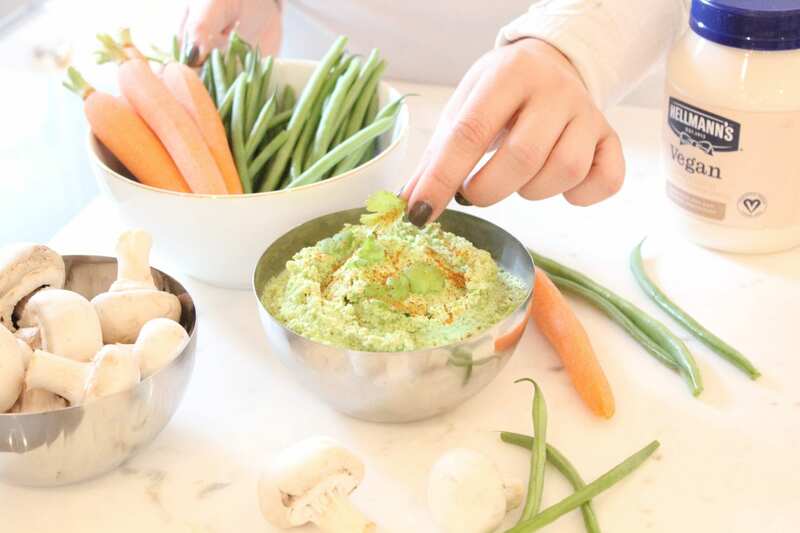 If you’re interested in making this dip too, check out the Make More of Mealtime and Game Time page for more recipes from your local Safeway or other grocery retailer. Save $5 when you spend $15 on Unilever items. I love edamame and this sounds amazing! 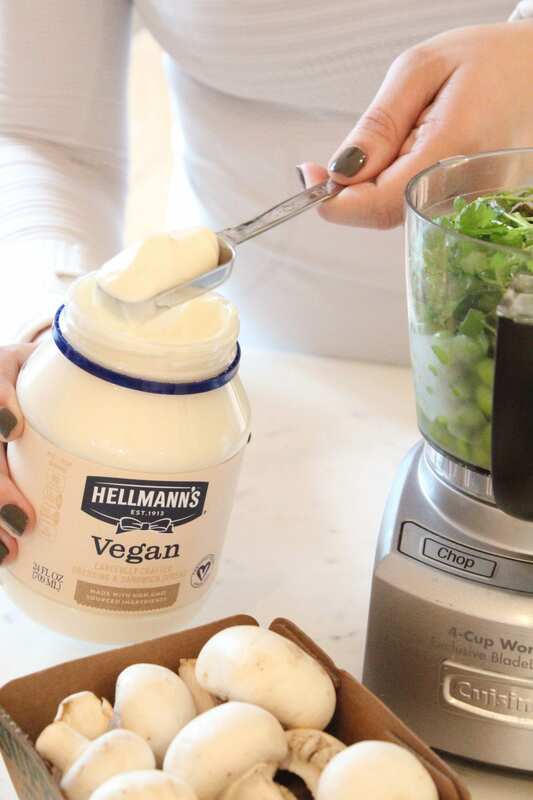 I didn’t know that Hellman’s made a vegan mayo! I am vegan so I will have to check it out! That sounds like a great dip. 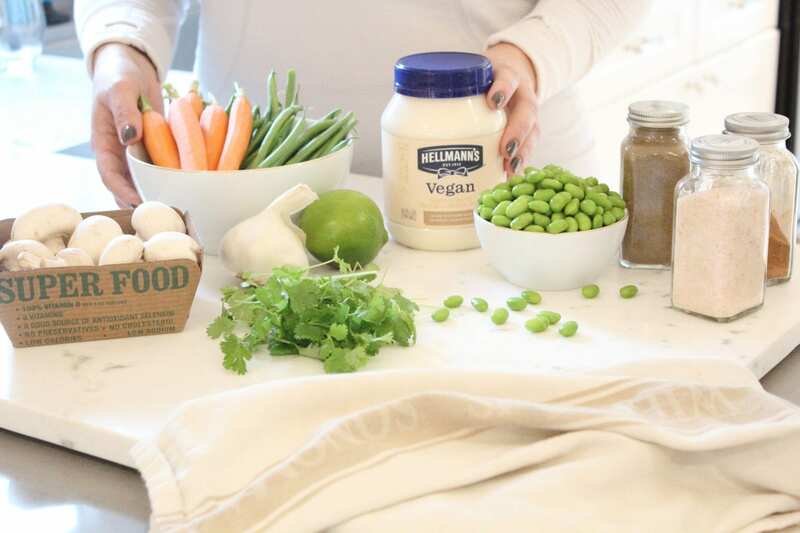 I had no idea Hellmann’s made a vegan mayonnaise. 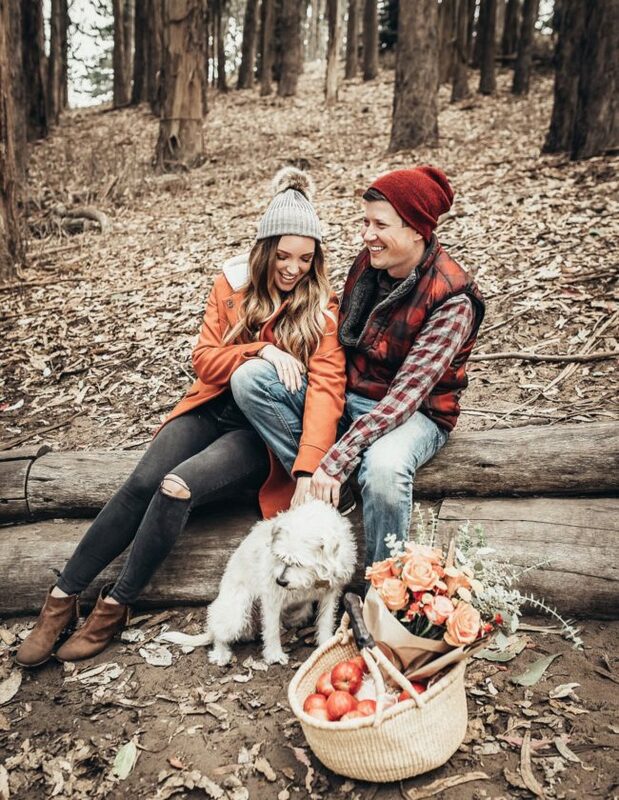 I guess the vegan lifestyle is finally getting some love. I love dips like this. I have a friend who’s gone vegan, so I’m glad I’ll finally be able to make something that she’ll eat! I am so hungry right now and i want this dip ASAP! 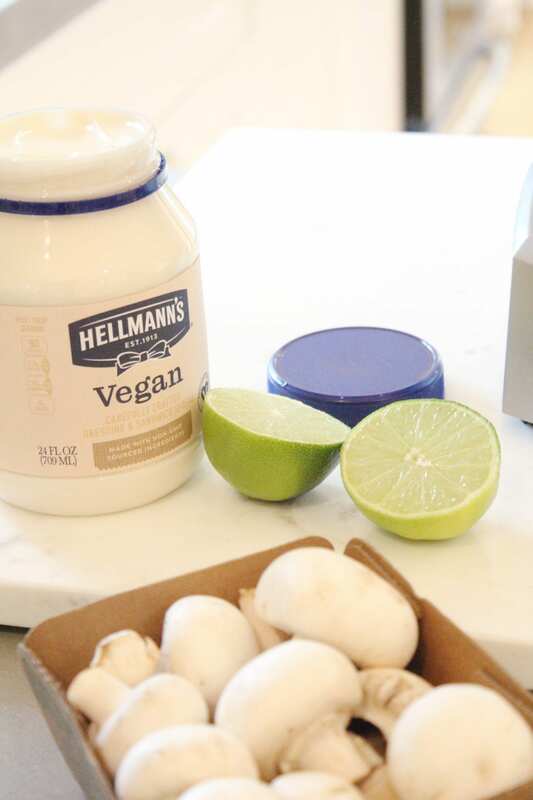 I didn’t know that Hellmann’s made vegan mayonnaise! That my favorite mayo and now i will love it even more! This sounds yummy. I haven’t heard of the vegan sandwich spread from Hellman’s but it sounds perfect for vegans. What an easy healthy swap. I love that you use a strong presence of garlic! I love heavily garlic flavored dips! This looks and sounds yummy! I have been looking for a healthy recipe for super bowl, thank you! Oh this would be an awesome dip to make. I’m definitely interested in testing out the vegan spread for the first time. That spicy hummus dip sounds amazing! This will surely be a hit at any party! That sounds awesome, especially with a little kick of flavor in it. Tailgating food doesn’t have to be horrible for you. 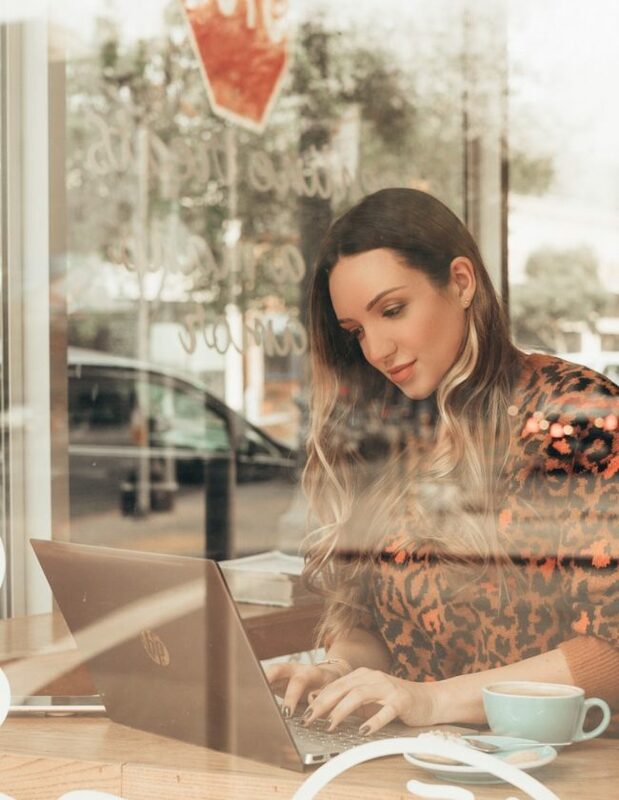 I am always looking for new healthy recipes to try. I will have to get the ingredients I need to make this on the weekend. My granddaughter is the world’s biggest hummus. I love that you can make it so many different ways.